NEW YORK, United States — Equinox has announced the launch of a new collection of holistic wellness travel experiences, as the premium fitness operator makes further moves to position itself within the lifestyle space. Launching in April 2019, the new transformational travel experiences will focus on elements of fitness and lifestyle that align with the brand’s holistic approach to what it refers to as ‘high-performance living’. The trips, both domestic getaways and week-long international breaks, will target sophisticated travellers who want to explore destinations through the lens of transformational health and life maximization, says the company. “Equinox is already recognized globally for transforming the lives of our members with immersive experiences within the four walls of our clubs, so our move into travel is a natural—and almost inevitable— extension of our unmatched lifestyle proposition,” said Harvey Spevak, Executive Chairman, Managing Partner, Equinox. Each adventure will be grounded with unique touch points across fitness, nutrition, transportation and bespoke service. A sample multi-day itinerary may include exclusive access to a personalised training session with a champion athlete, an exploration of ultra-seasonal cooking with a foraging experience hosted by a renowned local chef or a transformative mountaintop meditation at sunrise. The brand’s forthcoming hotels, set to launch in 2019, will also offer a coordinated program of urban-based travel experiences, giving members and guests added opportunities for high-performance activity while travelling for work or pleasure. As announced this week at the Global Wellness Summit, wellness tourism is now a $639 bn economy, which can be attributed to: “A rising global middle class, increasing consumer desire to adopt a wellness lifestyle, and a growing interest in experiential travel,” according to the Global Wellness Economy Monitor. And like Equinox, other wellness brands have also spotted the market’s potential. Earlier this year US wellness publication Well+Good launched its own set of wellness retreats after a survey of nearly 5,000 Well+Good readers, revealed that 40% of respondents would rather go on a fitness retreat with their favourite instructor than book into a five-star resort-based retreat. The intimate retreats, designed and hosted by Well+Good Co-Founders Alexia Brue and Melisse Gelula, aim to tap into the desire for individuals to reset and recharge their wellbeing whilst “sparking soul-satisfying conversation and new friendships,” says the brand. 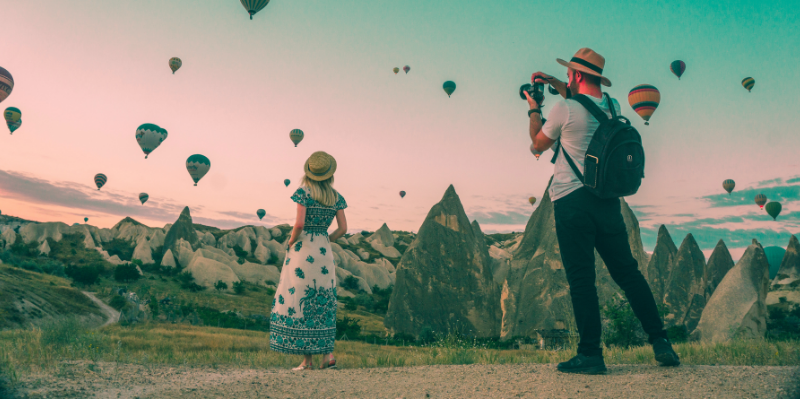 Elsewhere, the success of Wanderlust’s four-day retreats and Airbnb’s Experiences, which target an audience looking to spend on self-development and social consciousness, highlight the immense range of opportunities present in this fast-growing travel category. For Equinox however, it’s foray into wellness travel rests on an even bigger market opportunity. Founded in 1991, the brand which was built on the notion that fitness can empower a life well-lived and foster a strong community of high-performance individuals hopes that by engraining itself into every aspect of wellness, it can achieve a true culmination of its philosophy that “It’s Not Fitness. It’s Life”. In doing so, its aim is to cement itself as a lifestyle brand that transcends the four walls of the gym.